The first affordable homes to be built in Priorslee, Telford, have received a gold standard police award thanks to their anti-crime designs. 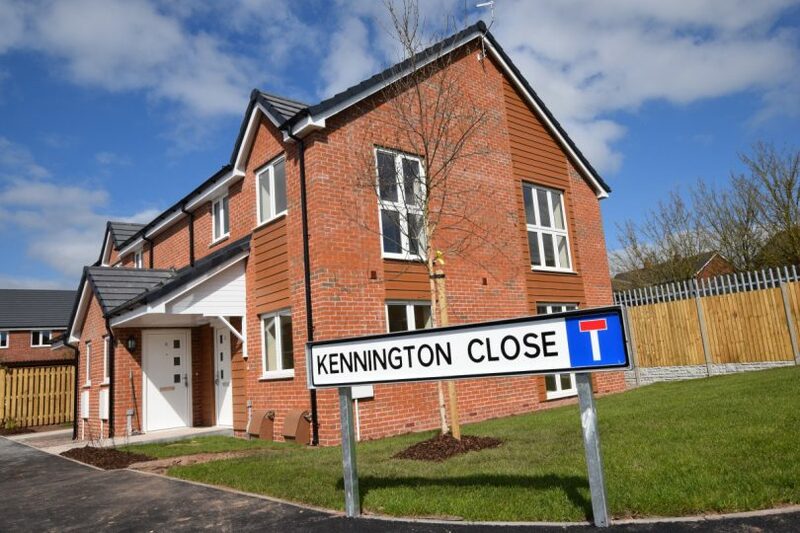 The Wrekin Housing Trust has created 20 homes for affordable rent at Kennington Close, off Gatcombe Way, which includes 16 three-beds houses and four one-bed flats. The properties have recently been finished and have been awarded a Gold standard from Secured By Design. Secured By Design is an industry standard and the principles have been proven to achieve a reduction of crime risk by up to 75 per cent. Work started on the site in March last year and was finished this week, with the first tenants moving in straight away. Steve Swann, development manager at The Wrekin Housing Trust, said: “This is a great accomplishment for the team, and is due to liaising with the relevant police officials to design out opportunities for criminals. Each of the 16 homes has a driveway and private garden and the rental for each home is £600 a month, while the flats have designated parking spaces and are being rented for £400 a month. Close to the development is Redhill Primary School, Priorslee Medical Practice and shops.